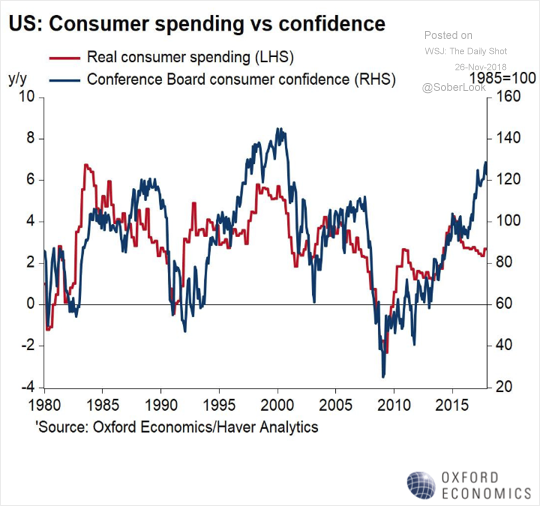 The United States: The divergence between “soft” and “hard” consumption indicators persists. 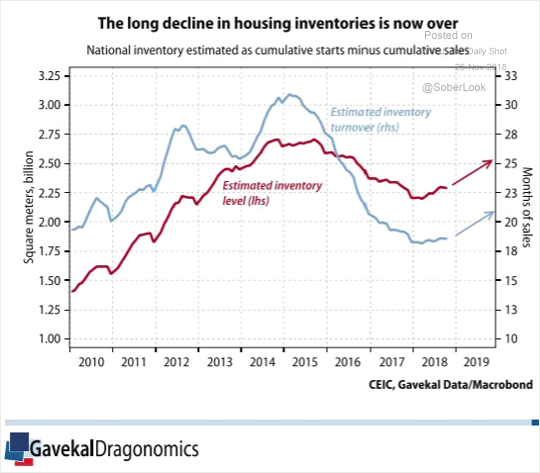 China: Housing inventories are expected to climb next year. 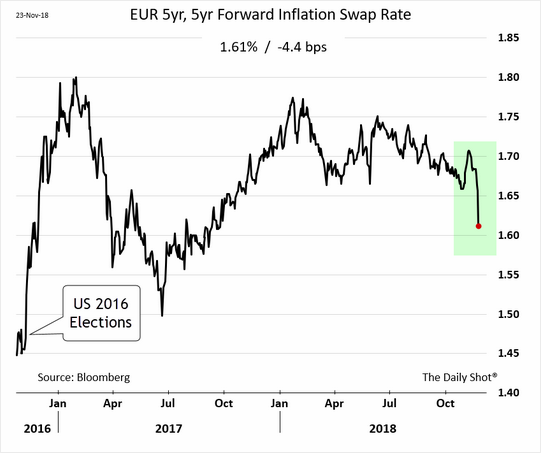 The Eurozone: Low oil prices sent market-based inflation expectations sharply lower. 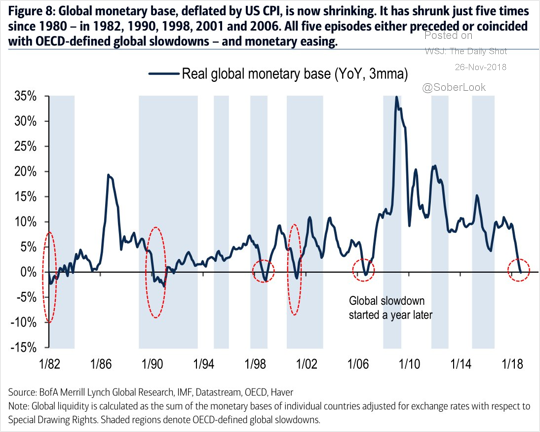 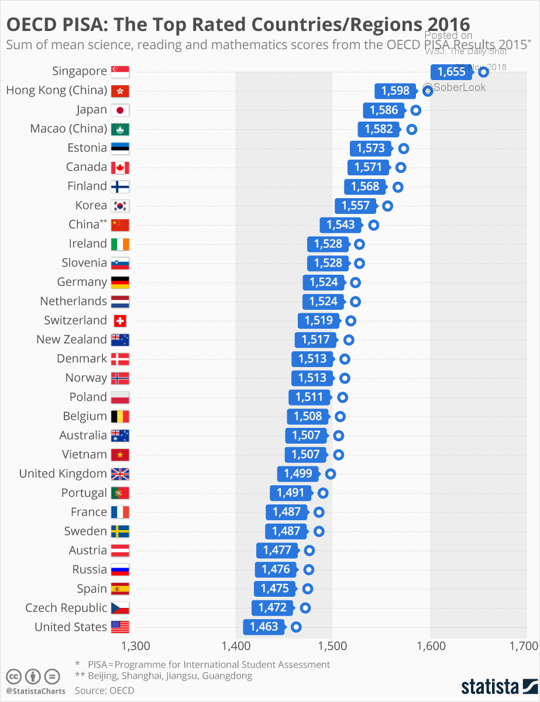 Global Developments: What does growth in the world’s monetary base tell us about the timing of the next recession? 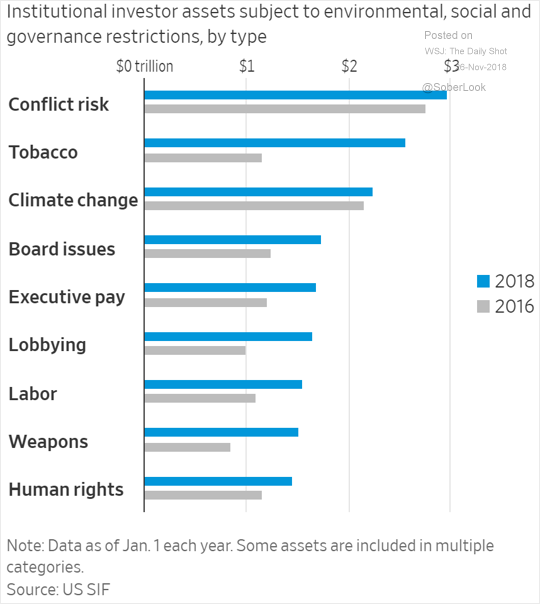 Equities: This chart shows investment restrictions on institutions (such as pension funds). 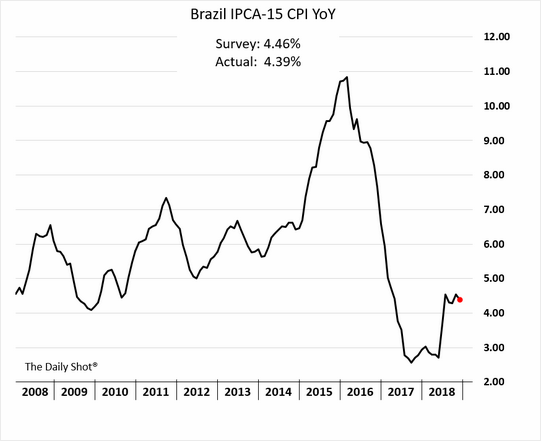 Emerging Markets: There are no signs of Brazil’s inflation accelerating (for now).